Ordained Dharma practitioners rely on the members of the community to provide for their daily sustenance. In traditional societies, each morning the ordained Sangha visit surrounding neighborhoods with empty alms bowls that are filled by those wishing to accumulate merit. The alms bowl is a potent symbol of communities coming together selflessly to support a practitioner’s spiritual commitments and effort, and a gentle reminder to share our good fortune with those whose bowls are empty. We rely exclusively on the ancient principle of dana (generosity through voluntary donation). We practice dana by offering our teachings and services without required fees. You can practice dana by making a donation, according to your capacity and the benefit received. Provisions are made for individuals who would like to partake of the benefits of Dharma, but lack the financial means to reciprocate. If you would like to explore alternative reciprocation arrangements, please inquire. No one should fail to take advantage of Dharma teachings due to a lack of material wealth. The most important non-monetary contribution you can make is to help disseminate these teachings through social media, recommending us to friends and posting links to this blog wherever you consider it would be both welcome and appropriate. Your generous contribution allows us to continue offering Dharma teachings, mentoring, and other services to others. We rely exclusively on the kindness of those who value these teachings, fully trusting that “those who uphold the Dharma are upheld by the Dharma”. Besides supporting the Dharma activities of the Universal Compassion Buddhist Congregation, your donation helps support the education of young nuns and monks, animal liberation, long life pujas for Dharma Teachers, and the welfare of refugees, the sick, and the poor. We are PayPal verified. You can contribute by using Paypal, sending your donation to GreatMiddleWay@gmail.com. We have an account with Paypal that will instantly credit your kind contribution. There are many worthwhile organizations throughout the world involved in making life better for others, both spiritually and materially. We encourage you to find at least one that feels right to you, and to support their good work. 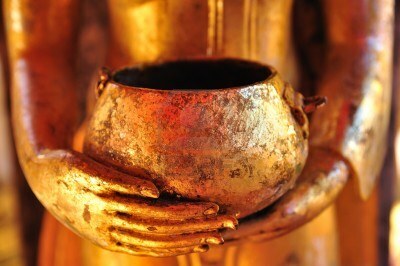 May all beings benefit from your generosity and compassion! + Hi I like your posts very much. Will bookmark.